D.A. Stern - Aloha Hola / Isn't It Obvious? D.A. Stern (whose mom probably knows him as Daniel Aaron Stern of New Jersey) has DNA that matches pretty well with pop genius Harry Nilsson, and probably has plenty of similarity with Lennon/McCartney, Brian Wilson, and the ghosts of the Brill Building. Now living in Los Angeles, the man is churning out music that simply demands listening. He released full album Aloha Hola in 2017, but it only got limited traction in an increasingly crowded music world. Fortunately for Daniel, and us, Slumberland has re-released Aloha Hola and Daniel's 2018 four track single Isn't It Obvious? So you now can have your very own D.A. Stern collection. You man have gotten out of bed this morning unaware of the delights of Stern's music, but now you need it in your life. "Isn't It Obvious?" Bandcamp for Isn't It Obvious? Friday has arrived at WYMA headquarters, so it is time to test candidates for weekend beverage consumption (this is scientific research, people, don't scoff) and pick some weekend music. 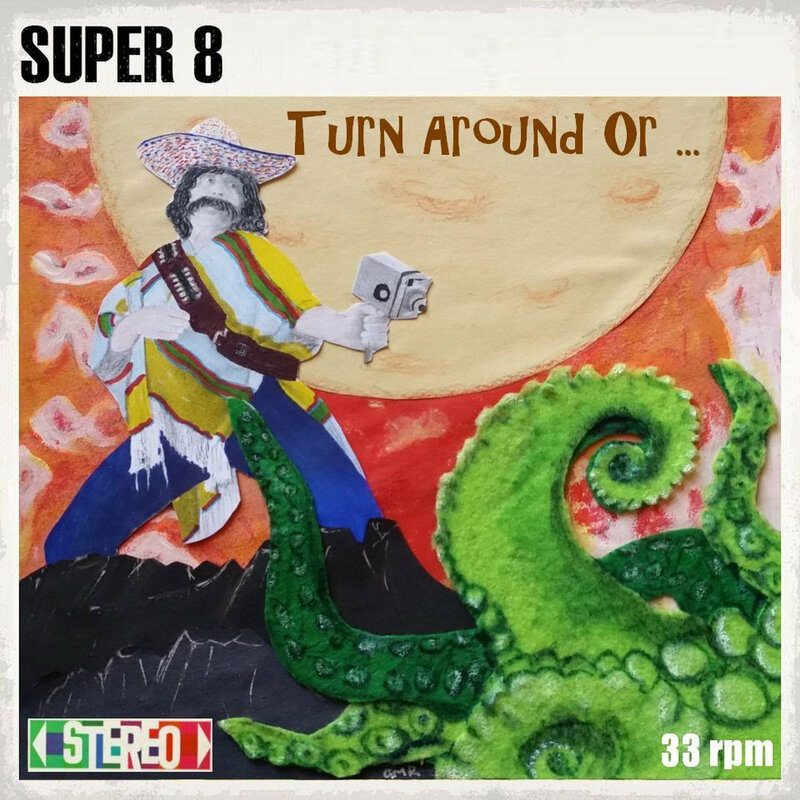 A trending candidate is Turn Around Or by Super 8. Not only is the name of the band evocative of road trips, conjuring motels, gas stations, or motels with an adjacent gas station, but the songs on Turn Around Or suggest parties, good times, and weekend beverages. The man behind the Super 8 mask is Trip, who also is known as Paul Ryan. But if we had a name that risked us being mistaken for the emasculated Speaker of the US House of Representatives, we would choose a stage name as well, and Trip works just fine. Turn Around Or is packed with scrappy indie nuggets that should have you bouncing all weekend long. The songwriting is tight, the arrangements are bold, and there are enough hooks to prompt envy in Big Star. Trip's performance has the grit and panache that we want in a frontman. And it should be noted that while Trip did most of the work himself, he had help from the likes of Nick Bertling, Bill Philips, Owen Hodgson, and Sunnie Larson. Picking representative songs from among this consistent menu could have been done with darts, but we manned up and made four selections. Trip composed all except "Serious Drugs", the BMX Bandits standout penned by Scots heroes Duglas Stewart, Norman Blake and Joe McAlinden. This man is prolific as well as talented, as it is his second release in 2018. Turn Around Or is out now in CD and digital formats via Futureman Records. You may be one of the music lovers who is not familiar with Virginia Wing, and if you are such a person you may wonder why your go-to blogs and zines are spending precious pixels discussing the Manchester band's new album, Ecstatic Arrow. We could be snarky and suggest that you read one or more of those blogs or zines to fine out, but since you are here we will offer you a more constructive suggestion - stream the songs below, realize that the album will enrich your life, and go to Bandcamp and buy the album while streaming it in its full glory. In our opinion, Ecstatic Arrow is a synthpop triumph, echoing the genre's glory days of the '80s and burnishing them for modern days. Core members Alice Merida Richards and Samuel Pillay, with able collaborators (including XAM Duo's Christopher Duffin on sax), have created music that is incisive, inventive and entertaining. While the lyrics can be serious, the arrangements are light filled and uplifting. 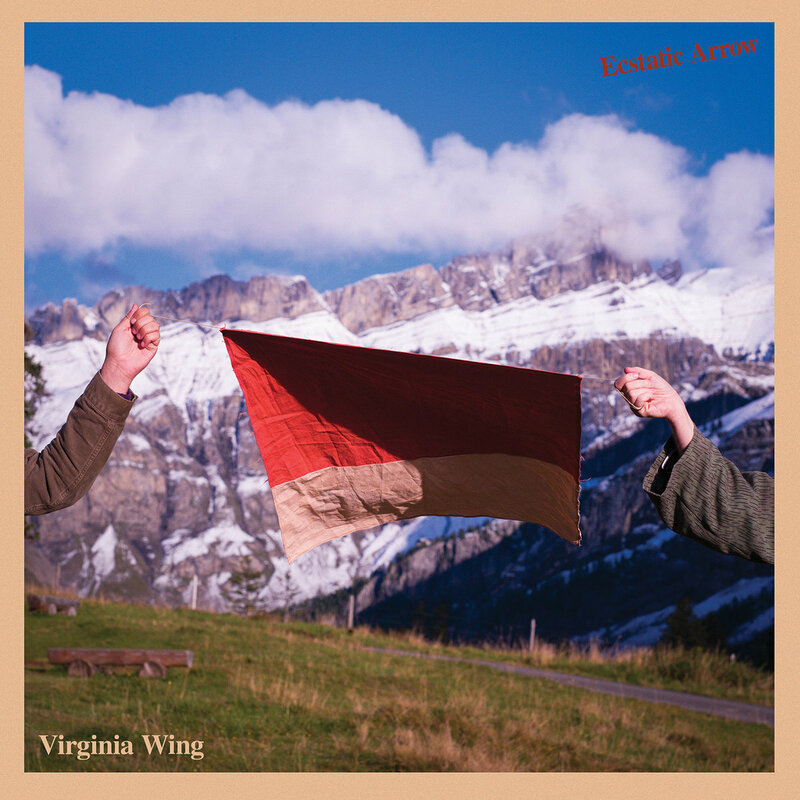 Virginia Wing's previous recordings were always interesting and worth exploring, but after listening to Ecstatic Arrow, those efforts seem like practice for the big game, and the new album is the first team showing their stuff, full game face in place. Ecstatic Arrow is out now in digital, CD, LP, and deluxe LP (with zine and poster) via Fire Records. 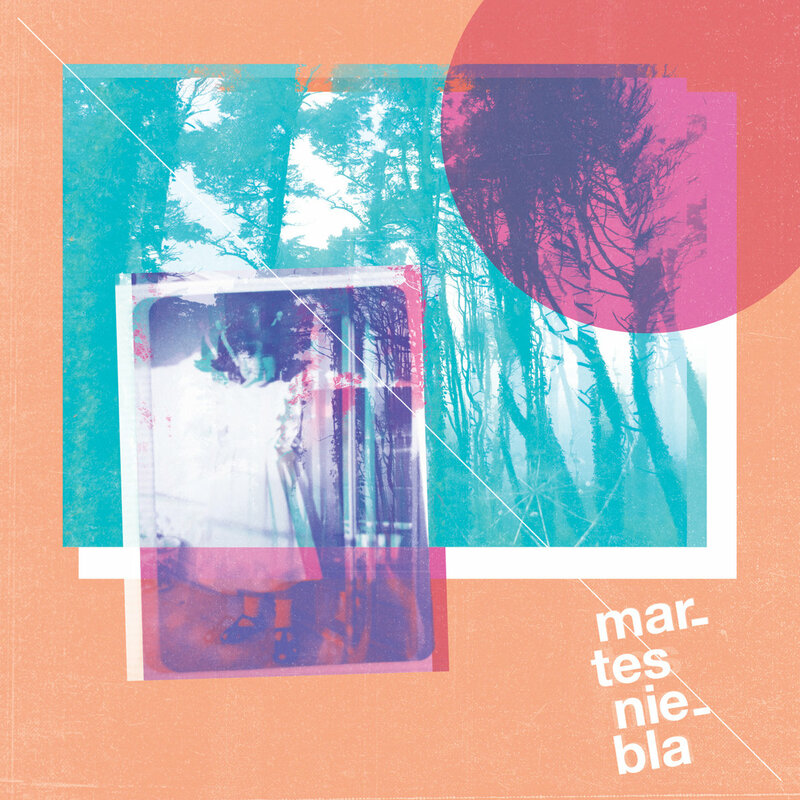 There have been a number of good bands coming out of Spain in the past few years, and we have discovered yet another one -- Martes Niebla. Comprised of Cristian, Davis, Erica, Ines, and Paco, they are based in Seville, Spain. The band's sweet spot is a muscular shoegaze with dream pop elements. Their debut self-titled EP includes four songs, three with Spanish lyrics and one, "Marble", with English lyrics. While melodic, the songs have a palpable authority and invite repeated listens. Martes Niebla is available now as a digital download for 'name your price'. This is the best deal of the day, folks. It seems that Stewart Tudor-Jackman has been reincarnated! In the '90s, he helmed the Kensingtons, a fine indie pop band with twee leanings. 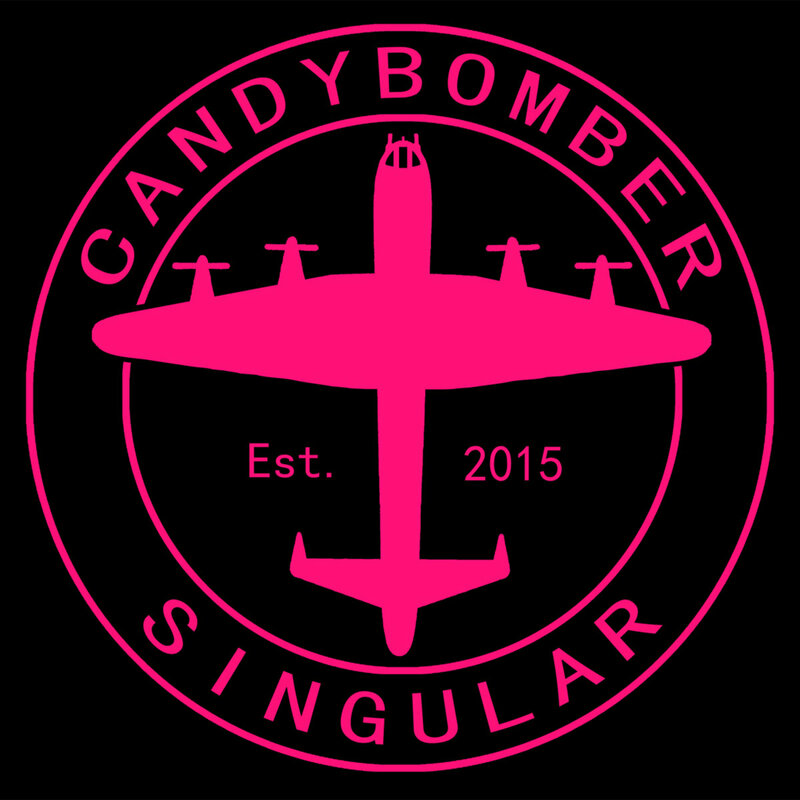 But for his new project, Candybomber, the menu is power pop with buzzsaw guitars and a bit of punk. Our first taste is the new four-song Singular EP. And it is oh, so good! In addition to Stewart (guitar), Candybomber includes Anthony (drums), Matt (vocals), Fasel (guitar), and Warren (bass). Singular EP is out now in digital and CD formats via Jigsaw Records. There is no shortage of good music to share, and we will cover as much of it as time allows. But the music has to fit the time and place. Today brought a bike ride in both sun and rain, and then sun and rain again, and now we are enjoying a fine beverage. After spending some time tying to decide what music best fit an early summer evening with a soft rain falling, we checked our email and discovered a message from Echo Orange submitting "Et le blizzard s'estompe" by The Rebels of Tijuana. And it is perfect! We love the way the track establishes a groove and takes the time to let it seep entirely into the listener's brain before the lyrics drop in. The song, which is the first single written by French poet Rémi Guirao, is available as a digital download from various online sources. The Rebels of Tijuana are Alex (guitar/bass/vocals), Seb (keys/backing vocals), Romain (drums/backing vocals), and Julien (bass/backing vocals). Despite the band's name, they are a French, and living in Switzerland. Obviously, their tastes run to '60s and '70s French pop, and that is quite alright with us. They will be releasing Asile, a double vinyl LP in October 2018, which promises to encompass folk rock, pop, jazz, and psychedelia. Based on the evidence of this single, our bet is that they deliver on those promises. And we wish you a relaxing end to your weekend.